Note: Nest Bedding is a mattress company that primarily sells its beds online, though it does have a handful of showrooms. Here we review the Alexander Signature bed, a memory foam bed. We have also reviewed the Nest Love & Sleep mattress, their entry level foam mattress, the Alexander Hybrid mattress, made of foam over pocketed coils, and the Nest Latex Hybrid, a latex-over-pocketed-coils mattress. If you’d prefer to watch rather than read, check out our full Nest Alexander Signature mattress video review above. GoodBed's Take – Who is the Best Match for a Nest Alexander Signature Mattress? The Alexander Signature mattress is a 12.5”, five-layer mattress made with two layers of premium memory foam, two layers of polyurethane comfort foam, and topped with a plush, quilted pillow top. In our evaluations, we found the Alexander Signature mattress to have a Medium softness level (it is also available in a Firm version). In our tests, we found this bed to offer very good support and spinal alignment for those who sleep primarily on their backs and sides, along with excellent pressure relieving properties, owing to the four-inch layer of high quality memory foam up top. Those two memory foam layers—a 2.5” layer of 4-lb. density memory foam and a 1.5” layer of 4.5” memory foam—are both soft and firm, and in our tests, found that as much as they provide superior pressure relief, they also help support lighter and concave parts of your body, such as your lumbar area. If you like to sit on the side of your bed, or lay right on the edge, the Alexander Signature mattress is an excellent choice. 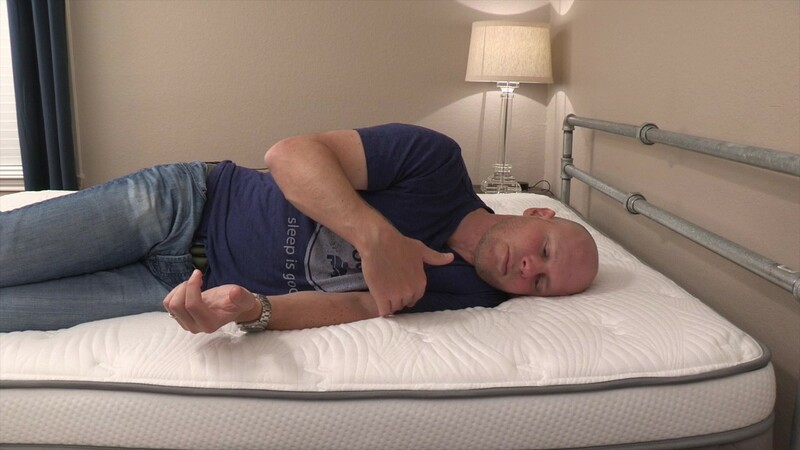 Memory foam beds in general have a poor reputation for edge support, but our tester felt stable and supported in both positions. If you have kids or pets that tend to push you towards sleeping right on the edge, this Nest mattress deserves consideration. The Alexander Signature mattress also excelled in our tests for motion isolation, making it a good choice for those who are sensitive to the movements of others on the opposite side of the bed. Value-wise, the Alexander Signature bed is an excellent deal, with high quality materials that would cost much more in a mattress store. The company offers a 100-day trial period, giving you a good measure of peace of mind. And if you prefer to try before you buy, Nest does have about a dozen showrooms, mainly in California and Arizona (see Nest Store Locator). On the other hand, we were not as excited about the bed’s suitability for stomach sleeping. Our 200-lb. tester’s hips sunk too deeply into the mattress and created some over-arching in the spine rather than the neutral spinal position we’re looking for. We think the issue will be even more pronounced for heavier individuals. Free shipping is included, though in-home setup costs extra. Note that the Nest mattress does not come with a box spring (nor does it need one). You can place the Alexander signature mattress atop the support of your choice, including a separately purchased box support, a bed frame, platform bed, or adjustable bed frame. Nest sells its own bed frame but it's not a required purchase. Overall, the Alexander Signature mattress performed very well in our testing and evaluations. We judged construction to be of excellent quality and would not have concerns about longevity or durability. The Alexander Signature mattress by Nest Bedding is made of five foam layers stacked and glued together. Four total inches are memory foam, with nine inches of polyurethane foam as the support layers. The quilted pillow top also adds padding and loft to the bed. While the company measures it at ½ inch, it seemed more like an inch to us. Nest does provide density numbers for its foams. Between 4 and 5 lb. densities for memory foam typically designates the highest quality. Nest Bedding is great about disclosing those densities; not all companies do. 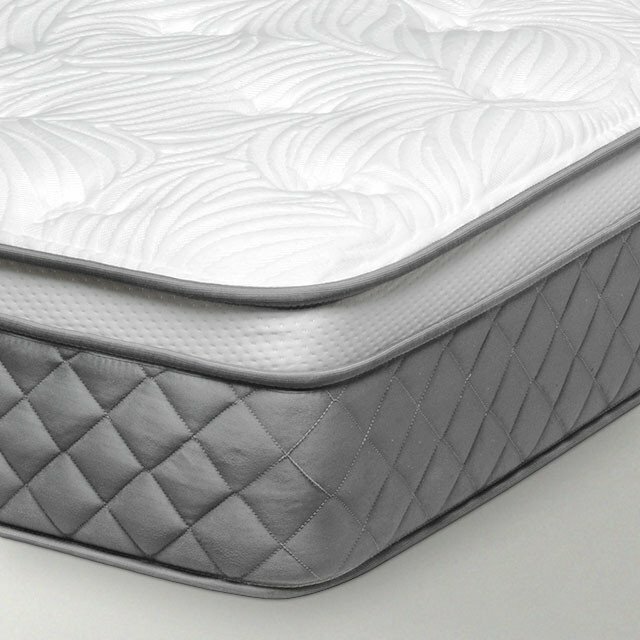 The five layers of the Alexander Signature mattress are wrapped in a very plush quilted pillow top and cover. It isn’t removable, so the cover is an integrated part of the mattress. The Alexander Signature mattress comes in two versions: Medium and Luxury Firm. We tested the Medium version and found that it did feel like what we would class as Medium softness. This refers to how deeply you sink into the mattress or feel cradled or hugged, versus a feeling of floating on top of the bed. We found the Alexander Signature from Nest to have a bit deeper than average cushioning, and our tester felt slightly more in contact with the mattress than average. Keep in mind that we tested the Medium version of this bed. It also comes in a Firm version, which we would assume has less cushioning. The Nest Alexander Signature bed has four inches of memory foam, so we were not surprised to find plenty of that slow, melting-into-the-bed sensation. Our tester, for instance, felt his hips sink more deeply into the mattress after a few seconds, when his body began to warm the memory foam layers. Because of the thick quilted cover on the mattress, which is not made of memory foam, our tester did note that lighter parts of his body, like hands and feet, really didn’t contact the memory foam. The feeling overall on the Alexander Signature bed was a bit of a hybrid. Our tester’s hips and shoulders sunk pleasantly into the bed, while lighter parts floated more on top. In our evaluations, the Alexander Signature mattress from Nest Bedding afforded very good back support and spinal alignment particularly for back and side sleepers. The foam densities at the top of this mattress are high, which means that those comfort layers are also playing a support role, translating to very good performance when it came to back support. In the stomach sleeping position, however, our tested noted that his hips sunk too far into the mattress, creating less than ideal spinal alignment. This is a concern with all memory foam mattresses, where your body just keeps sinking into the memory material. Hips that sink too deeply in the stomach position can create too much arch in the back, and that can lead to back pain. Here is how we break down the spinal alignment of the Alexander Signature mattress from Nest. While our tester was on his back, he noted that his hips sank just deeply enough to create a good neutral spine. The memory foam, while responsible for cradling his hips and shoulders, was also supportive. We feel that sleepers of a wide weight range would have a similar experience. In our evaluation, side sleepers would be well supported by the Alexander Signature bed. Our 200 lb. tester’s hips and shoulders sank into the bed just enough to create a neutral spinal position. Overall, if you sleep primarily on your back and side, like the majority of people, then we think the Nest bed will suit you very well. 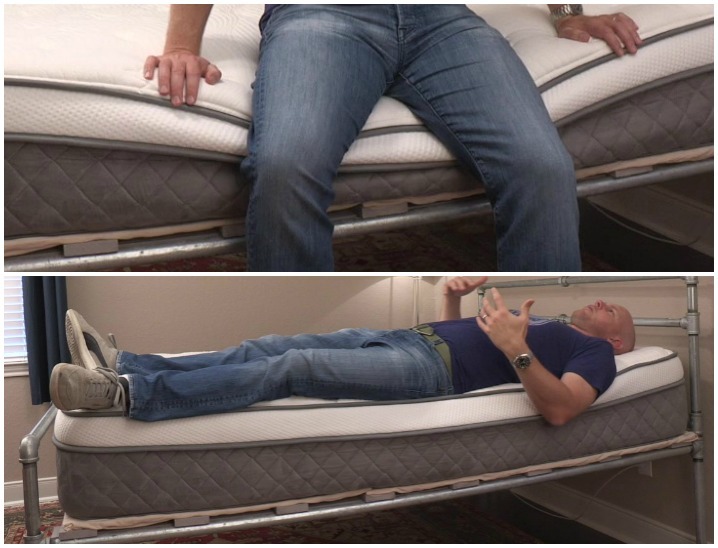 Achieving good spinal alignment for stomach sleepers can often be trickier as the hips can tend to sink down too far with some mattresses, and we felt this was the case with the Alexander Signature mattress, particularly for heavier (over 200 lbs.) individuals who primarily sleep on their stomachs. Overall, we found the pressure relief offered by the Nest mattress to be excellent. Our tester had no issues with pressure points, and because there is so much memory foam in this bed, we don’t think many people would have trouble with this. As his body warmed the memory foam, our tester felt himself sinking even just a bit deeper. As we would expect from a mattress containing this much memory foam, motion isolation was a highlight in our testing. We felt that the Alexander Signature bed would be an excellent choice for couples who don’t want to feel their partner getting in and out of bed. Movements on one side of the bed were barely perceptible on the other. For most people, we do not think the Alexander Signature mattress will feel hot. 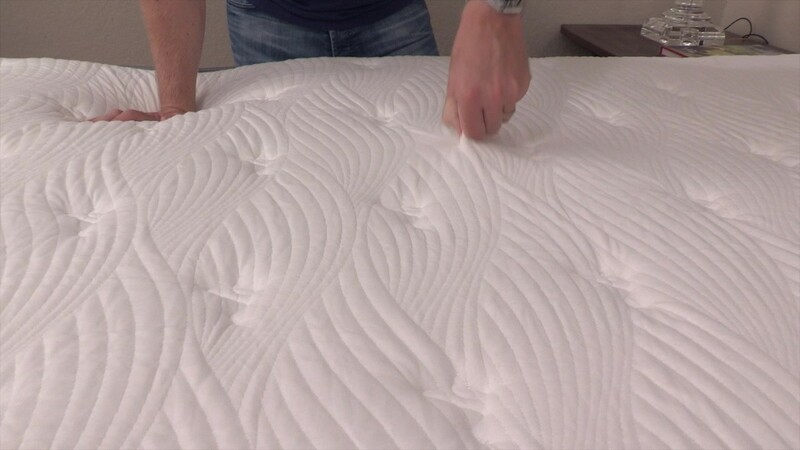 Memory foam has a reputation for heat retention, but in the case of the Alexander Signature bed, the memory foam layer is quite in top—it’s under a heavy quilted cover that doesn’t contain any memory material. The company also claims that the cover is made with phase-change material, meaning it should feel cool to the touch. We did not note that it felt different than regular fabric. If overheating in bed is an issue for you, and you’ve experienced it with other mattresses, other models have features that are specifically intended to address this, but for most we don’t expect heat to be a problem with the Alexander Signature bed. Foam mattresses aren’t typically very supportive along the very edge of the mattress—important if you like to sit on the edge of the bed, or if you tend to sleep along the edge. With the Alexander Signature mattress, our tester did experience a substantial amount of dip when sitting on the edge of the mattress, but he never felt unstable at all. When laying on the very edge of the bed, our tester also felt very stable, and did not feel like he was leaning or rolling off the bed at all. If your pets or kids tend to push you towards the side of the bed, we think the Alexander Signature bed will get you the most usable space out of your mattress. If you tend to move and change positions a lot over the course of a night, ease of repositioning will be a priority for you. With memory foam beds, owners often report that it can be hard to roll over and feel as if they are rolling out of a hole. But because the memory foam material is under a plush cover, we felt this mitigated what can be a trouble spot for memory foam beds in general. Our tester did not experience any problems rolling from position to position. In the case of the Alexander Signature mattress, the foams used are not natural; however they are certified to the CertiPUR-US standard, which verifies that a material has low VOC off-gassing as well as a lack of chemicals and other substances regulated by the CPSC. The company also says that its fire sock (a fire retardant required by law) is made of natural silica. Find more info on the Nest Eco-Friendly page. While we did not test the Alexander Signature mattress on an adjustable base, but Nest says that an appropriate frame will not harm the mattress. The Alexander Signature mattress from Nest Bedding is a 12.5” mattress with four inches of premium memory foam as its comfort layers. The quality of these memory foams is excellent, with 4 and 4.5 lb. densities. The non-removable cover of the mattress has a plush and heavily quilted top. In our time testing the Nest bed, we found it to be sturdy and well made. It’s also worth noting that user reviews for this bed on GoodBed are some of the highest satisfaction ratings we’ve seen for any mattress. When it comes to estimating the comfort lifespan of a mattress, we tend to use foam density as our best, albeit imperfect, predictor of how long a foam will retain its shape and resiliency. In this case, the top two memory foam layers on the Nest bed are of high 4- and 4.5-lb. density, which we think will last a long time. The lower layers are a very standard 1.8-lb density polyurethane foam, a material that’s time-tested. Overall we think the Alexander Signature bed will last a long time without the foams breaking down. We were very impressed by the Alexander Signature mattress by Nest Bedding. The materials used in its manufacture are of very high quality, yet the price ($1,199 for a queen size) is in line with its online competition that use lesser-density foams. And if you prefer to try a mattress in a store, Nest does has a handful of showrooms, primarily in California and Arizona so you can try before you buy. Otherwise, take comfort that the company offers a 100-night trial, and if you’re not happy for any reason after trying the mattress, you can get a full refund. Nest offers buyers a 100-day trial period, and urges buyers to give the mattress at least 30 days before initiating a return. Upon proof of donation to charity, the company will refund your money. It’s up to you to find a charity that will accept the mattress. See: Details of the Nest Bedding return policy for the Alexander Signature Series mattresses. This warranty extends to the original owner for as long as they own the mattress, and assumes it has been placed upon an appropriate foundation. See: Nest Bedding warranty info. Summary: Is the Alexander Signature Mattress Right for You? The Alexander Signature from Nest Bedding is a high quality mattress that solves some issues with innovation. Here’s who we think the mattress is best for, based on our evaluations. Is the Alexander Signature bed right for you? Take our Mattress Match Quiz to find mattresses that fit your needs, based on your preferences and price range. Looking for more on the Alexander Signature mattress? Visit NestBedding.com. Is the Nectar's lifetime warranty too good to be true?